Too many Americans are shot by police officers. The reasons why it happens are complex. In the spirit of addressing a complex problem, here’s a suggestion. Schools, churches, and community centers can invite police officers to talk with students about how to stay safe in an interaction with police. 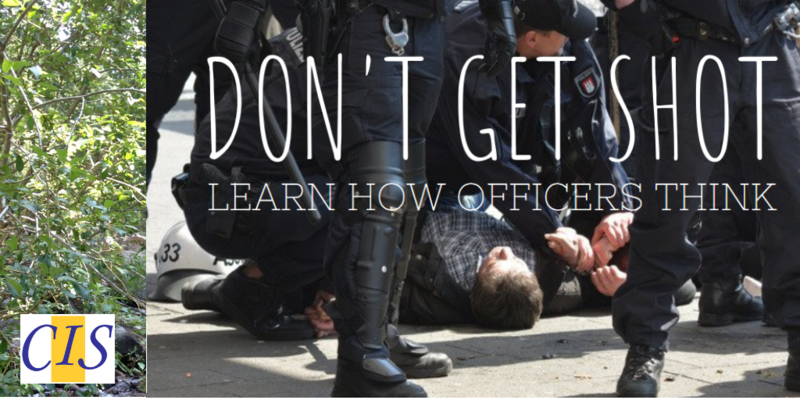 Young people need to hear this, and they need to hear it from an officer’s point of view. Follow an officer’s orders. It’s the law. Don’t give officers any reason to think you pose a danger. Keep your hands visible to the officer. This applies wherever we are – in a car, on the street, in our own home, and anywhere else. If you have a weapon, drop it and keep your hands away from it. Show respect, and expect to be respected. The talks should examine some real-world incidents. Students should hear exactly what happened in a shooting that was reviewed and found to be legally defensible. 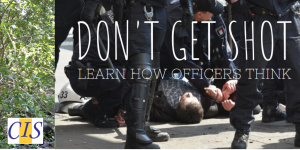 Go step by step through the sequence of events, explain how quickly the incident unfolded, state what the officer knew and saw and heard, and say what made the officer decide to shoot. Describe how officers are trained. Review the involved officer’s training and experience level. List the evidence the agency or other investigators used in their review of what happened. Talk about what policies, practices, and training content the agency reviewed after the incident – and any changes that were made to reduce the chances of another shooting. If any involved officers were disciplined or terminated or sent for more training, talk about that. Shootings occur because of what the officer knew or observed in the seconds in which they happen and how the officer responds to perceived danger. Their response is rooted in training, experience, second-to-second observations, peer culture, gut response, and other intangibles. The talks also should cover what’s different about incidents that are not justifiable. We can learn from them, too, and we can trust agencies more when we understand how agencies respond to those incidents. We have too many shootings in our cities and neighborhoods, and the tension this creates is valid. But we can’t over-simplify. The specific circumstances matter in each incident. Each officer is unique. Each person who has been shot is unique. When we watch videos from the latest incident on the news, we flinch every time we see a move someone shouldn’t have made, a reaction an officer made that may have been disproportionate. We can’t see into every incident before it happens, and we can’t turn back the clock. But we can see patterns, so let’s address those patterns. Let’s tell young people how to lessen, not heighten, the perceived risk that officers respond to in this type of interaction. Let’s reduce the fear, legitimate or exaggerated, that young people may have of police officers. Let’s reduce the fear, legitimate or exaggerated, that police officers may have of people of color who are or may be armed. These goals require understanding and addressing bias on both sides. Young people need to understand the daily risks officers face in patrol work and how an officer responds in a volatile incident. Public safety agencies need to drop some of their defensiveness and work harder on building and maintaining community trust, whether they see any mistrust that affects them as fair or unfair. It’s difficult but important for reducing polarization. Agency leaders can deal with officers who don’t relate well with the communities they are sworn to protect. They can hire and support officers who have a good and realistic attitude. They can train officers to understand implicit bias and how to work with, around, and beyond it. Officers who can’t patrol fairly and justly should go. Agencies should remove officers from patrol who don’t belong there. Whatever we can do to end wrongful shootings, we should do. Community education can be a part. Public safety agencies can reach out to school districts and community groups, or vice versa. Just a few opportunities to talk together can help break down fears, establish what we all have in common, and explain how to stay safer. If some school resource officers are doing this already, please share your experiences and the results. If having these conversations means more young people of color choose to work in public safety, that would be a good trend in many communities. Officer staffing should reflect the makeup of the community. We can also acknowledge that wrongful shootings involve suspects and officers of all skin colors and racial and ethnic backgrounds. Racial bias is not the only issue on the table. Good policing will always require the highest principles, the best ethics, and the best people. Previous post: What keeps them up at night?